The Rajasthan Sports Council is highest organisation of sports development in the state. Like National Awards at center level, the state also institutionalised awards to recognise and honour eminent sportspersons of the state. 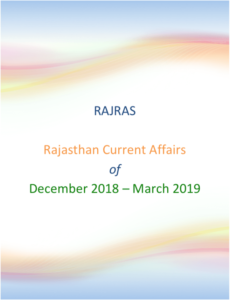 In Rajasthan, players are honoured with ‘ Maharana Pratap Award ‘ for outstanding achievements at National and International level by the State Sports Council. Additionally, such Sports trainers are awarded “Vashishth Puraskar ” by Sports Council. In 2017, The council also introduced two new awards – rising star award for junior players and excellence award for sportspersons who performed well in Olympics. This is the highest awards for sportsperson in the state of Rajasthan. 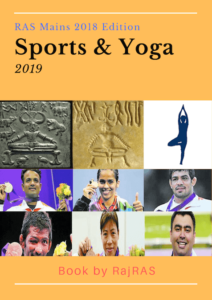 In 2017, the State government honoured 41 sports persons for the laurels won during 2008 – 2016. They are: Satish Joshi, Rakesh Kumar, Vishakha Vijay, Narayana Singhala, Sukhwal, Kiran Teng, Giriraj Singh , Jagasir Singh, Narendra Singh, Om Prakash, Samarjit Singh, Dayalaram Jat, Ravi Rathod, Balwinder Singh, Kamlesh Kumar Sharma, Shekhar Singh Yadav, Rakesh Raliya , Dayalaram Saharan, Manisha Rathod, Apurvi Chandela, Ramesh Singh, Mahendra Singh Rawal, Sandeep Singh Mann, Ghamanda Ram, Pana Chaudhary, Dilip Khoiwal, Manju Bala, Suresh Vishnoi, Sandeep K Amr, Rajendra Vishnoi, Rajat Chauhan, Lavit Kataria, Sumitra Sharma, Mahesh Nehra, Vineet Saxena, Ajay Singh , Mukesh Chaudhary Wushu, Seema Poonia, Swati Milkwal, Sonam Goba, Abhinav Sharma. This is the highest award for trainer/coach in Rajasthan. The first prize- awarding trainers include Mr. Pokarmal (Athletics), and Mr. Ramdev Sharma (Cycling) who were honoured by this award in 1985-86. In 2017, the state government honoured 13 coaches. They are Virendra Poonia, Amit Asha, Amrit Lal Kalyani, Mahipal Gawal, Karan Singh, Jayantilal Nannoma, Rajesh Tailor, Ram Prasad Tailor, Dhaneshwar Maida, Ashok Chaudhary, Sagarmal Dhaal, Yadavendra Singh, Shravan Bhabbu. This award is for encouraging upcoming junior players. 41 players were awarded in 2017. This award is for state sports persons that perform well in Olympics. Sapna Poonia (walker), Kheta Ram (marathon) and Pankaj Singh (cricketer) were awarded in 2017.